Not over: The suicide verdict in the case of Elliott Johnson ends only part of his parents’ quest for justice. [Image: Family handout/PA]. This Writer hopes that Ray and Alison Johnson take this matter as far as it can go. There are serious issues of bullying within a Conservative campaigning group that can’t be brushed under the carpet just because a coroner records a verdict of suicide. This is about establishing the reasons Elliott Johnson had for taking his life. And it won’t only be useful for his parents. Let’s remember that the Department for Work and Pensions has recently admitted it may have some responsibility for the suicides of sickness benefit claimants – although it claims not to be “solely” responsible. That in itself should be enough to launch at least a thousand lawsuits against the department for corporate manslaughter. 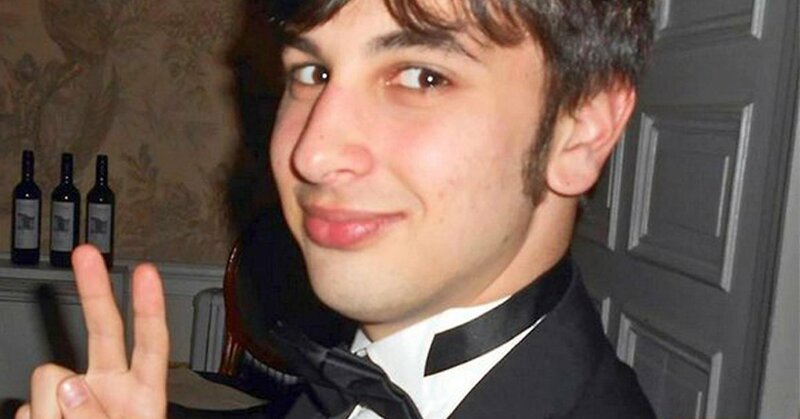 But the case of Elliott Johnson could establish legal precedents about how much responsibility for a suicide may be attributed to others. This could be invaluable to representatives of benefit claimants. This Writer apologises for hijacking this story to discuss others, but it is important that people recognise the hopeful possibilities arising from this tragic case. At the end of a dramatic hearing on Tuesday, the senior coroner for Bedfordshire, Tom Osborne, recorded a verdict of suicide and formally acknowledged that Johnson believed he was being bullied in the weeks before his death. At times the inquest became heated with the coroner frequently challenging the Johnson family’s QC, Heather Williams, over her line of questioning. “I will not allow this to become a trial of Mark Clarke,” Osborne said. Clarke, who has denied all allegations of wrongdoing, did not attend the inquest. Paul Abbott, Johnson’s former boss at the rightwing pressure group Conservative Way Forward (CWF), told the inquest he believed Clarke’s behaviour in the weeks before Johnson’s death was “potentially criminal” and that he had been bullying Johnson and other CWF activists. Johnson’s father, Ray, who sat beside his wife, Alison, throughout the hearing in Ampthill, gave an emotionally charged statement to the inquest in which he said his son had been subjected to a “victimisation campaign” and wanted Clarke and Walker to take their share of responsibility for his death. Afterwards, he welcomed the verdict but added that the inquest was “simply the first step in our quest for accountability”. He also told the inquest he believed his son was made redundant from his full-time position as political editor at CWF after Clarke had spoken to Abbott and Donal Blaney, a former chair of the group. This was earlier denied by Abbott, who said he was “the last person on earth who wanted to help Clarke”. Johnson sent a recording of a meeting between himself, Clarke and Walker, in which Johnson is heard demanding an apology from Clarke, the inquest heard. Clarke is heard admitting that he had spoken to CWF about a caution he believed Johnson had received for an electoral offence. It has since been established Johnson did not receive a caution. “I’m here for an apology, Mark, I’m not here for anything else,” Johnson is heard saying. “That’s not going to happen,” Clarke replies. Clarke is then heard showing interest in the complaint Johnson had made against him and what actions Johnson was taking to withdraw the complaint, the inquest heard. Johnson ultimately met Simon Mort, a CCHQ staffer who handled complaints and did not pursue the matter further. The coroner did not accept that there was a link between the alleged altercation between Clarke and Johnson and CWF. After the hearing a spokeswoman for CWF said: “We welcome the comments in the coroner’s verdict today that there was no link between the altercation between Mark Clarke and Elliott Johnson and Elliott Johnson’s redundancy from CWF. Under heavy rain outside the coroner’s court, Ray Johnson and his wife [Alison]… said: “The evidence has shown the intense pressure Elliott was under in the last weeks of his life, particularly from Clarke, Walker and CWF. Taking on this Thatcherite inspired bunch which is a core group in the Tory Party is going to be expensive. Should the Elliotts be expected to fund this themselves? Is there some way an online fund could be set up to allow people to donate?